Founded in 1986 as Anne McGuire and Associates, McGuire Igleski & Associates, Inc. was established as a corporation in 2001 with Anne McGuire and Mark Igleski as principals and owners. Anne McGuire with over 30 years of experience and Mark Igleski with over 20 years of experience, serve private and public clients in architecture and historic preservation. McGuire Igleski & Associates has on staff LEED Accredited Professionals certified by the U.S. Green Building Council. We are members of the American Institute of Architects. McGuire Igleski & Associates, Inc. is an architectural firm offering the full range of professional services and historic preservation services. We are a certified WBE and DBE firm serving governmental agencies, public entities and private clients. 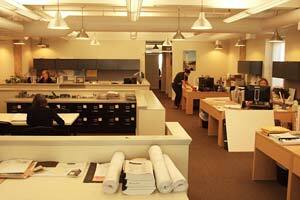 In addition, we work in partnership with other architectural and engineering firms.